Free version of the player may play ads. If it does they won't be played too often. * Uses FFmpeg for decoding, meaning that it supports almost all audio file formats including mp3, ogg vorbis, flac, real audio (*.ra), windows media audio (*.wma), monkey's audio (*.ape), musepack (*.mpc) and many more. * Reads playlists: m3u, ram, pls, xspf, asx, cue sheet. * Plays local files, files on remote filesystems, and any web stream including Shoutcast radio stations. – bookmarks for easy access to often used folders. – for any mp3 option to remove silence. * 10–band equalizer with ability to set exact frequency, width and gain for every band. 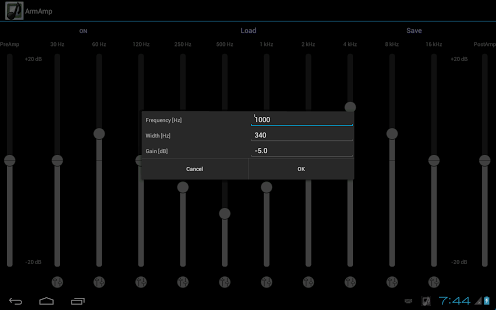 * Reverb – 5 different parameters can be used to set preferred sound. * Fade in and fade out with configurable time. – widget (on Android 4.2+ can be placed on lockscreen). * Displays lyrics using LyricWiki. * Displays Shoutcast/Icecast stream information. – audiobook mode – current playback time can be bookmarked. * Automatic playlists containing favorites or random songs. * Shuffle – as long as it's possible it will not repeat songs. Also whole playlist can be randomized with similar effect. * Tags viewer with automatic encoding detection. * Supports devices with ARM, x86 or MIPS processors. INTERNET – used for playing music not available locally. WAKE_LOCK – used for ensuring smooth audio playback. Behavior can be changed in settings. READ_PHONE_STATE – used for optional pausing after phone call. WRITE_EXTERNAL_STORAGE – allows file deletion (must be requested by user). Other permissions are used by ad library and are not used with ads removed.